You can request meetings with the international market professionals and Nordic film institute representatives below. The list will be updated continuously. To request a meeting, send an email to Market Coordinator, Karina Bernauer, before Wednesday 27 August 2018. Please specify your arrival/departure and the order of wishes, if there is more than one Market Professional you’d like to book a meeting with. In order to match you accordingly, make sure to include details on the project/topic you’d like to have a meeting about. If the available time for a Decision Maker is not suitable, let us know and we will try to accommodate you as best as possible. The festival now draws an estimated three million people each year. The Independent Feature Film Competition is open to independently produced dramatic and documentary feature-length films. In order to be eligible for Competition, entries must be U.S. premieres, have at least 50% U.S. financing, and must have been completed after October 2001. The running time for dramatic features must be no less than 70 minutes, and documentary features must be no less than 50 minutes. Dramatic films under 70 minutes in length and documentary films less than 50 minutes are eligible for participation in the Shorts Program, Frontier, and Native Forum. 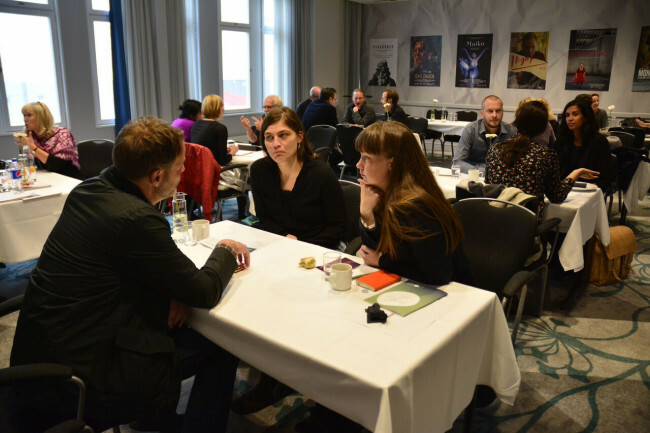 The KurzFilmAgentur Hamburg (KFA) is an association which has devoted itself to promoting and improving the public awareness of short films. It operates a theatrical distribution service for short film, negotiates worldwide licensing rights, maintains a short film database linked to an extensive video archive, sets up training and education courses and organizes film-related projects with national and international co-partners. Every year the Agency also hosts and runs the Hamburg International Short Film Festival. Curtas Vila do Conde International Film Festival, created in 1993, is one of the most important cinematographic and cultural events in Portugal dedicated to short-films and annually produced in July, in the city Vila do Conde. interfilm’s internationally operating short film sales and distribution agency has been established in 1999, offering an ever-expanding catalogue of internationally successful and outstanding short films to cinemas, TV, internet, educational, closed-circuit and other media worldwide. interfilm Berlin also hosts the Academy Award© qualifying interfilm Berlin International Short Film Festival, one of the biggest festivals for short film, operating since 1982. Since 1989, the Premiers Plans Film Festival takes place each year in the city of Angers, France. Through the years, the Festival has become a major meeting of European cinematographic creation, as numerous directors such as Fatih Akin, Nuri Bilge Ceylan, Joachim Lafosse, Matteo Garrone, Arnaud Desplechin, Xavier Beauvois, Nick Park, Cristi Puiu, Paolo Sorrentino and Thomas Vinterberg were originally discovered in Angers with the screening of their first films. Each year, the Official Selection presents 80 european first films divided in five competitive sections. The Torino Short Film Market is a meeting place for professionals in the world of short films and digital content. It boasts an international flavor (400 accredited participants from 36 countries in 2017), a broad range of profiles, a series of meetings planned and overseen by the TSFM, and a friendly atmosphere. DOK.fest Munich has developed into one of Europe’s largest documentary film festivals. Every year in May the festival presents the most interesting and relevant international documentaries on a big screen. DOK.fest accompanies the filmographies of outstanding filmmakers, supports directors from so-called „low produc­tion countries“, works on a widespread impact of artistic documentary films and initiates sustainable relationships between established filmmakers and newcomers. Every year at the end of May/beginning of June, the festival is all about international short films with a maximum length of 30 minutes, always capturing experiences in and outside of the cinema, presenting the new and old in a lively way, showing connections within. Maximum length is 30 min. One of the most important and best endowed European short film festivals. It focuses on short fiction and animation films. Next to its competitions and extensive special programmes, it offers events and workshops for media professionals.The primary focus of the six day festival in Dresden is its International Competition and National Competition. Fictional and animated shorts up to a maximum of 30 minutes compete here in various categories for the highly coveted Golden Horsemen. FILMFEST DRESDEN is one of the best endowed short film festivals in Europe with prizes and awards worth €66,000. In addition to the competition sections, the festival week provides an extensive range of special programmes with documentaries and experimental films, a children’s programme, retrospectives and numerous country-based programmes as well as an industry programme with panel discussions, master classes and workshops. The festival is organized by Film Servis Karlovy Vary, organizer of the Karlovy Vary International Film Festival. The best and most inspiring short films from all over the world head towards the Czech capital again, where they will be presented at the Prague Short Films Festival. Time available: Saturday 22 September, anytime.